Experienced South Carolina personal injury lawyer and business litigation attorney Chad McGowan is a partner at McGowan, Hood & Felder, LLC. If you have suffered a devastating personal injury or need assistance with business litigation, please contact him today. Call 888.302.7546 and schedule a free case evaluation. Chad helps those who are victims of injuries due to the negligence of others, including people injured in truck accidents and construction accidents. As a graduate of Emory University School of Law, Chad has earned the esteemed accolade of being selected for inclusion in South Carolina Super Lawyers® from 2009 – 2011. Chad has dedicated his career to litigation for more than 16 years. Emory University School of Law, Atlanta, Georgia, 1995 J.D. 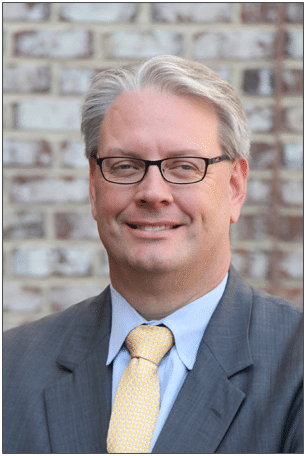 South Carolina injury attorney and business litigation lawyer Chad McGowan has been practicing law for over 16 years. In his spare time, he enjoys bicycling, hunting, cooking and spending time with his twin girls and his son. He is married to the former Cassie Maloney, who he met at Tiger Town in Clemson, SC. They live in Fort Mill, SC. Discover what we can do for you. Contact us today. Call 888.302.7546 and schedule a free case evaluation. Best of all, if you choose us to represent you, you only pay fees if you win. That’s because we work on a contingency fee basis. It’s that simple. Put the power of a lawyer in Columbia, SC to work for you. Contact McGowan, Hood & Felder, LLC. The sooner you contact us, the sooner we can help you get your life back on track.